Support of children for whom support may be ordered, including children born after the filing of the initial petition or the final decree of dissolution. Custody of minor children of the marriage. Property rights of the parties. Award of attorney’s fees and costs. 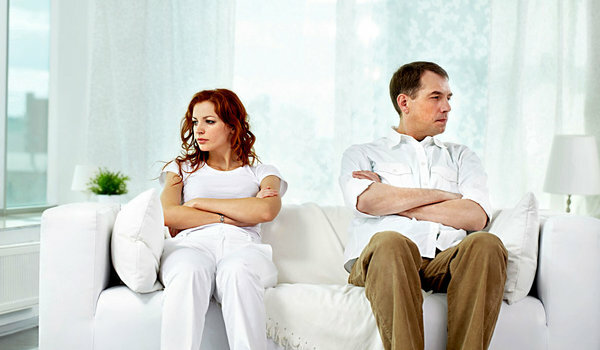 Irreconcilable differences, which have caused the irremediable breakdown of the marriage. Irreconcilable differences are those grounds which are determined by the court to be substantial reasons for not continuing the marriage and which made it appear that the marriage should be dissolved. Incurable insanity. A marriage may be dissolved on the grounds of incurable insanity only upon proof, including competent medical or psychiatric testimony, that the insane spouse was at the time the petition was filed, and remains, incurably insane. The party who commences the proceeding or on whose behalf the proceeding is commenced was without the capability of consenting to the marriage, unless, after attaining the age of consent, the party for any time freely cohabited with the other as husband and wife. The husband or wife or either party was living and the marriage with that husband or wife as then in force and that husband or wife (1) was absent and not known to the party commencing the proceeding to be living for a period of five successive years immediately preceding the subsequent marriage for which the judgment of nullity is sought or (2) was generally reputed or believed by the party commencing the proceeding to be dead at the time the subsequent marriage was contracted. Either party was of unsound mind, unless the party of unsound mind, after coming to reason, freely cohabited with the other as husband and wife. The consent of either party was obtained by fraud, unless the party whose consent was obtained by fraud afterwards, with full knowledge of the facts constituting the fraud, freely cohabited with the other as husband or wife. The consent of either party was obtained by force, unless the party whose consent was obtained by force afterwards freely cohabited with the other as husband or wife. Either party was, at the time of marriage, physically incapable of entering into the marriage state, and that incapacity continues, and appears to be incurable.